Since LACMA’s establishment, living artists have played an instrumental role in understanding the museum’s encyclopedic collection through a contemporary lens. L.A. Exuberance: New Gifts by Artists features a selection of works given to the museum for its 50th anniversary, as part of an unprecedented campaign led by artist Catherine Opie. Featuring over sixty gifts, the exhibition includes additions to the collection by Edgar Arceneaux, John Baldessari, Uta Barth, Larry Bell, Tacita Dean, Sam Durant, Shannon Ebner, Charles Gaines, Ken Gonzales-Day, Alexandra Grant, Glenn Kaino, Friedrich Kunath, Sterling Ruby, Analia Saban, James Welling, Mario Ybarra Jr., and Brenna Youngblood. This exhibition marks the culmination of LACMA’s 50th anniversary year, one that began with historic gifts to the museum represented in 50 for 50: Gifts on the Occasion of LACMA’s Anniversary. I was born to love not to hate (5), 2014, mixed media on paper backed with fabric, 116” x 72”. Permanent collection, Los Angeles County Museum of Art (LACMA). On Tuesday, August 16, 2016, at 7 pm, Film Streams, Omaha Public Library, and the Greater Omaha Genealogical Society will present a special screening of the documentary TAKING LENA HOME at the Ruth Sokolof Theater, 1340 Mike Fahey Street, followed by a post-show discussion featuring the film’s director, Alexandra Grant. After the movie, Film Streams Deputy Director Casey Logan will moderate a panel discussion with Grant; Cindy Drake, Nebraska History Library Curator and Statewide Cemetery Registry Coordinator, Nebraska State Historical Society; and Julie Middendorf, a genealogy enthusiast who solved the mystery of Lena’s provenance. Tickets for this special screening at Film Streams’ Ruth Sokolof Theater are $9 general; $7 for students, seniors, teachers, military, and those arriving by bicycle; and $4.50 for Film Streams Members. Advance tickets can be purchased at http://bit.ly/29VrQst or through the Film Streams Box Office, in person or at 402-933-0259 x15. For more information, questions or requests, please contact Patrick Kinney at (402) 933-0259 x 11 or patrick@filmstreams.org. The screening and discussion are part of Film Streams’ Community Development Program, which facilitates partnerships with other nonprofits and community groups on film-related events that speak to their missions and programming. Film Streams is a 501(c)3 nonprofit organization dedicated to enhancing the cultural environment of the Omaha-Council Bluffs area through the presentation and discussion of film as an art form. For more information, visit www.filmstreams.org. Omaha Public Library strengthens Omaha communities by connecting people with ideas, information, and innovative services. For more information, visit http://omahalibrary.org/. The Greater Omaha Genealogical Society is a non-profit organization whose purpose is (1) to unite those persons interested in the pursuit and study of genealogy and family history; (2) to encourage the preservation of public and private records; and (3) to promote programs of education which support the growth and development of these fields. For more information, visit https://gogsmembers.wordpress.com. Sur Le Mur art is happy to present a new, limited edition HPM print collaboration between the Los Angeles artists Alexandra Grant and RISK. Each of the 15 unique pieces is screen-printed and spray-painted on paper, 30 x 24″. For more information and to purchase, please contact Megan Phillips: mjphillips.mc@gmail.com or 310.429.0953. 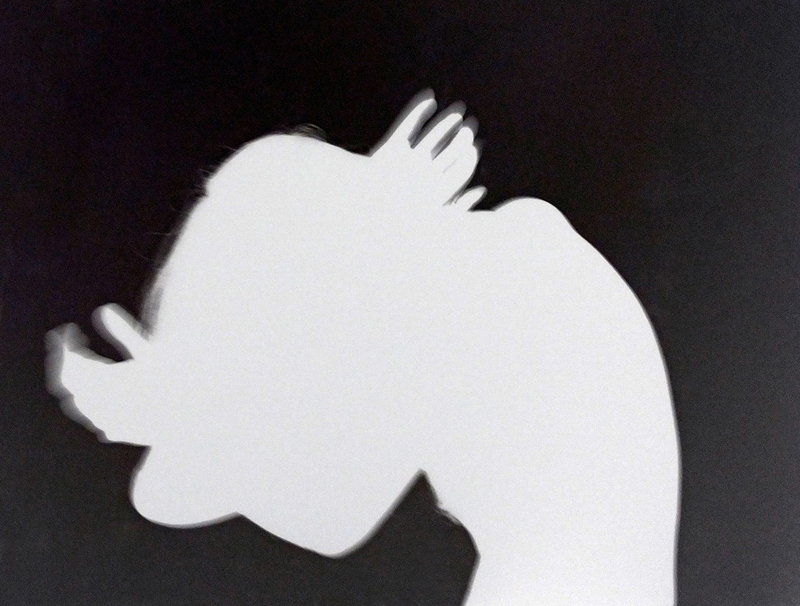 Ochi Gallery is pleased to present Shadows, an exhibition in our project space of photographic works by Alexandra Grant. The work will be on view July 7th through August 6th with an opening reception Thursday, July 7th from 4-7 pm. For this series Grant collaborated with actor and writer Keanu Reeves, The Lapis Press and Steidl Publishing to produce a striking collection of images that explore the concept of the shadow. Through a series of dramatic photographs, Grant captures Reeves’ silhouette in a sequence of movements where his figure often blurs beyond the point of recognition, causing the final images to border on abstraction. After the shoots with Reeves, Grant manipulated the images to invert the images black for white, making the shadow itself the source of light. Despite their mysterious and elegant qualities, the images are narrative and figurative, supported by Reeves’s poetic texts in the titles and accompanying book. Hauntingly beautiful, the images are also playful, allowing the viewer to sense the intimacy and exchange in the collaborative relationship between subject and artist. Printed at a large scale on velour paper at Steidl Publishing in Germany, the photos possess a remarkable surface. Also published by Steidl is a book of Grant’s photos accompanied by texts written by Reeves. Additionally, The Lapis Press produced a suite of smaller scale, limited edition color prints. Image: Shadow (2), after Keanu Reeves’s “I can’t say all I wish to say,” 2016. Acrylic pigment printed on Arches velour paper rough, 60” x 40”. Edition of 2 with 1 AP. Printed in Germany by Gerhard Steidl. ghost town is a participatory drawing project that will take place during the 20 Bienal de Arte Paiz in Guatemala City, Guatemala. Curated by Alma Ruiz, the Bienal, called “The Ordinary/Extraordinary: The Democratization of Art or the Will to Change Things” features artists from Guatemala and abroad such as Carlos-Cruz Diez, Magdalena Fernández, Alejandra González Escamilla, Felix Gonzalez-Torres, Kimsooja, and Lawrence Weiner. As part of the 40th year of the Bienal de Arte Paiz, Alexandra Grant’s ghost town will be an invitation to the public to join the artist in illustrating a series of poems by the Guatemalan writer Vania Vargas. For the purposes of this collaboration, Vargas created an anthology titled “Cartografía de un pueblo fantasma” (“Cartography of a Ghost Town”), that maps out memories, real and fictive, across the urban landscape of Guatemala City. For ghost town Grant will use Vargas’s “Cartografía” as a linguistic plan or guide to create a collaborative drawing over 90 feet in length over a period of 17 days. The main theme of “Cartografía” is love—familial and romantic, lost and found—across a solitary or various subjects’s lifetime. At it’s essence ghost town is a collective memory mapping project, with “ghosts” familiar to those who live in Guatemala City, are fans of Vargas’s poetry, or have experienced heart-ache or break. Both ghost town and the text that informs it are democratic in their invitation to explore and co-create a shared imaginary landscape. The 20 Bienal de Arte Paiz will take place from June 2nd to July 3rd in the historical center of Guatemala City. 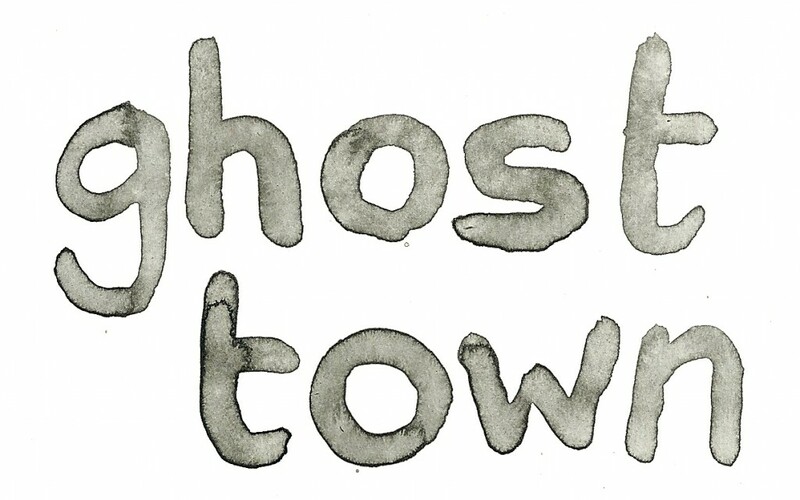 The public will be invited to join Alexandra Grant in illustrating ghost town beginning May 25th, with a separate celebration for all participants on June 10th. Vania Vargas is a Guatemalan writer and poet, born in Quetzaltenango in 1978. 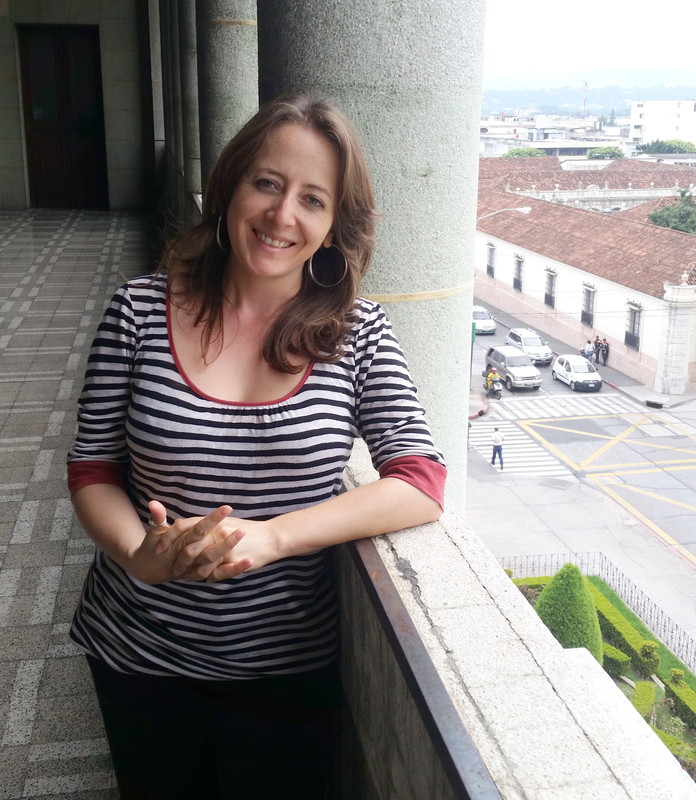 After receiving her university degree in literature at the Universidad de San Carlos de Guatemala, she worked as a journalist in both Quetzaltenango and Guatemala City. Her published works of poetry include “Cuentos infantiles” (“Children Stories”) y “Quizás ese día tampoco sea hoy” (“Perhaps today isn’t that day either”) published in 2010 by Catafixia editorial and Editorial Cultura respectively. She also wrote “El futuro empezó ayer: apuesta por las nuevas escrituras de Guatemala” (“The Future Started Yesterday: Betting on New Writings from Guatemala”) with Catafixia editorial and UNESCO in 2012. Her most recent work in poetry “Señas particulares y cicatrices” (Particular signs and scars”) was released by Catafixia editorial in 2015. Her collection “Cartografía de un pueblo fantasma” (“Cartography of a Ghost Town”) is a collection from three of her books of poetry and put together in 2015 for her collaboration with Alexandra Grant in the project ghost town. Vargas published a book of short stories in 2016 called “Después del fin” (After the end) published by Ediciones del Pensativo. Cisneros Fontanals Art Foundation in Miami. The 20 Bienal de Arte Paiz celebrates 40 years of supporting the Guatemalan visual arts by the Fundación Paiz for Art and Culture. The twentieth edition aspires to greater inclusiveness by bringing the public closer to contemporary art, through the promotion of a simple and direct dialogue as a first step for a better understanding of the art of our time. In the historic center of Guatemala City, the Bienal de Arte Paiz will endeavor to close the gap that exists between the public and the work of art through participatory works and other works inspired by the idea of art and life. Created by national and international artists, the works of art included span from the sixties to the present and explore the notion of the everyday through various themes: Object: Deconstructions, Obsessions, and the Exercise of Collecting; Observation of Space and Place; Individual and Social Identity; Politics and Activism; and the Everyday Unconscious.